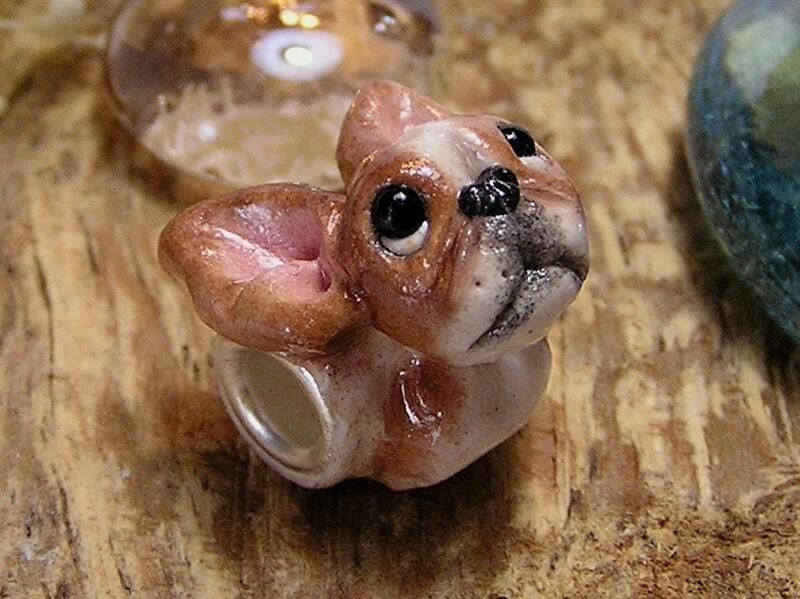 One hand-sculpted brown and white Boston Terrier Pandora bead. The bead is sculpted from polymer clay, tinted in colors of brown, pink and black and varnish sealed. The back of the bead is a brownish white and has a small paw print stamped on the back. The bead has a silver metal core insert.